The Garden is proud to host Seattle photographer, Michael Kenna, for a book signing. 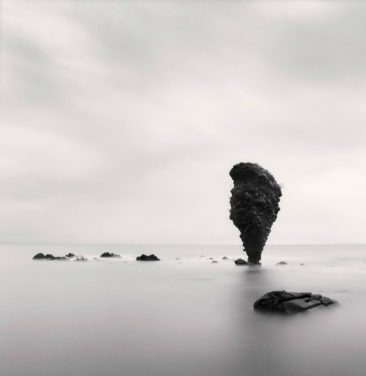 Michael Kenna’s work can be seen at the Garden’s exhibition, Ice & Stone, where his black and white photography is paired with suiseki viewing stones. Michael Kenna has been photographing in Japan since 1987. Kenna is well known for the intimate scale of his photography and his meticulous personal printing style. He works in the traditional, non-digital, photographic medium. Kenna’s photographs have been shown in over 450 gallery and museum exhibitions throughout the world, and are included in over 100 permanent museum collections. 65 monographs and exhibition catalogs have been published on his work. Born in Widnes, England in 1953, Kenna currently lives in Seattle, Washington, USA.